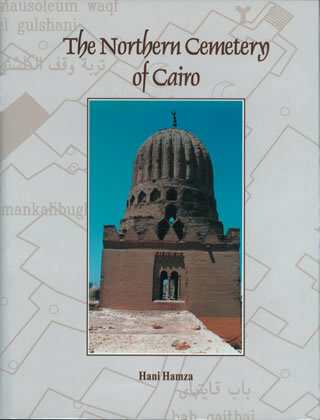 The Northern Cemetery of Cairo "Hard Cover"
The Northern Cemetery of Cairo deals with the beginnings, growth and decline of one of the most important cemeteries of Cairo, which is quintessentially a product of Mamluk patronage. The Mamluks, unlike the preceding dynasties ruling Egypt, failed to develop a new significant urban settlement in their domains. Instead they primarily extended and consolidated some of the existing cities. The establishment of the Northern Cemetery reflects a shift in the Mamluks’ policy. The area was used for military training and as a parade ground, reflecting the military spirit of the formative years of the young state. Urbanization of the area started during the third reign of al-Nasir Muhammad and proceeded slowly during the ensuing period of internal struggle after his death. The Burgi period witnessed royal patronage of the area for the first time; the economic, military, and social decadence of the later Burgi sultanate did not prevent the steady growth and the artistic excellence that characterized the period here, as it did elsewhere in Cairo. The Northern Cemetery was a separate entity isolated on all sides; to the south the steep descent of Bab al-Wazir and the Citadel complex separated it from the Qarafa; to the west the Barqiya mounds and the Cairo wall separated it from the city proper; to the east al-Gabal al-Ahmar fixed its physical limit; its northern boundaries, however, are not clearly defined. The area is perhaps the nearest attempt of the Mamluks to establishing an urban settlement, dedicated not to the living but to the deceased.